This opens up an Alter Table tab with the focus on Indexes sub tab. Index Name: The Index Name is displayed. You can alter the Index Name. 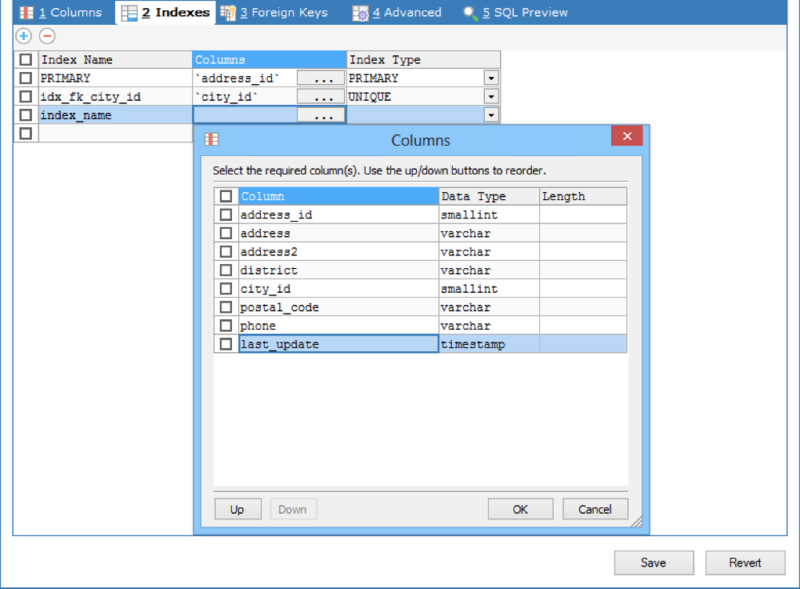 Columns: Check/Uncheck the checkbox against the column name to include/exclude the column from the Index. Click Save to make the changes. Or Click Revert to Cancel changes.